Kanban project management is one of the leading PM methodologies, and after exploring this guide, you’ll see why. The kanban approach suits almost every team and goal. It helps you manage the flow of tasks as your team works toward shared objectives. This method keeps track of documents, information about your tasks, and makes them accessible exactly when you need them. If you’ve ever worked on a project that involves both strategy and execution, you know that getting started is often the hardest part. We spend all this time establishing goals and vision, that when it comes time to execute, we resort to a simple way of thinking: just get it done. But the way things get done can make a big difference. Project management is that crucial element in ensuring an effective workflow for your business, so you can get closer to achieving your vision. 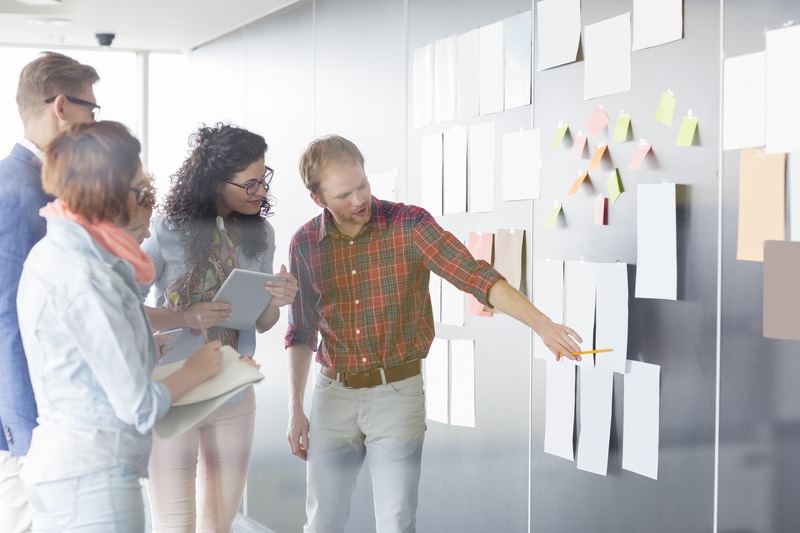 In this guide, you’ll learn more about how Kanban boards work, the pros and cons of this approach, and how to implement it for your business. By applying the kanban approach to project management, the workflow becomes fully transparent and visual. Each team member can see who works on a particular task, what is being worked on, and so on. As a result, your teams will be focused, and you won’t exceed their capacity. The cornerstone idea of the kanban methodology is to do as much as possible, in as little time as possible. Even though this seems counter-intuitive at first glance, it has been proven many times that focusing on the most important thing first improves your productivity. At a high level, your team will have overarching goals to meet. This can be as a company, a department, or a focused team. To accomplish those goals, you’ll need to complete a certain number of projects. Every project has a list of tasks associated to it — creating one page on a website, for example, requires SEO, content writing, UI, development, a review process and so on. Many tasks roll up to one larger project. Many people believe that they’re significantly more productive when they’re multitasking, or balancing multiple tasks at the same time. The kanban process says the opposite. With this project management method, you’ll instead focus on completing one actionable task at a time. The idea is to accomplish the optimal amount of work without losing efficiency in the process. Dedicating your attention to one task keeps your mind from wandering, and allows you to get into deep focus. When you complete a task, you move on the next one. This continues for a team until the project is complete. Quick question: how many browser tabs do you have open right now? Don’t worry, if the idea of starting with a small number of tasks sounds difficult, aim high instead. Set a higher limit on tasks to start, and then lower it as you see fit. This will help you adjust to a new method. Plus, it provides you with better insight into the qualities and skills of your team. It informs the company of what a proper workload looks like. It doesn’t matter if you work small projects or big initiatives. By applying the kanban working method, you can focus on just the right amount of work and take a huge step toward achieving your goals. Another kanban pro is that it allows you to evolve your existing processes and make incremental changes on your journey to peak productivity. In order to introduce positive changes, you need to first know what to improve. Apps like Kanbanery generate metrics and provide a detailed overview of your ongoing projects. With this information, you can tweak your process as you go. 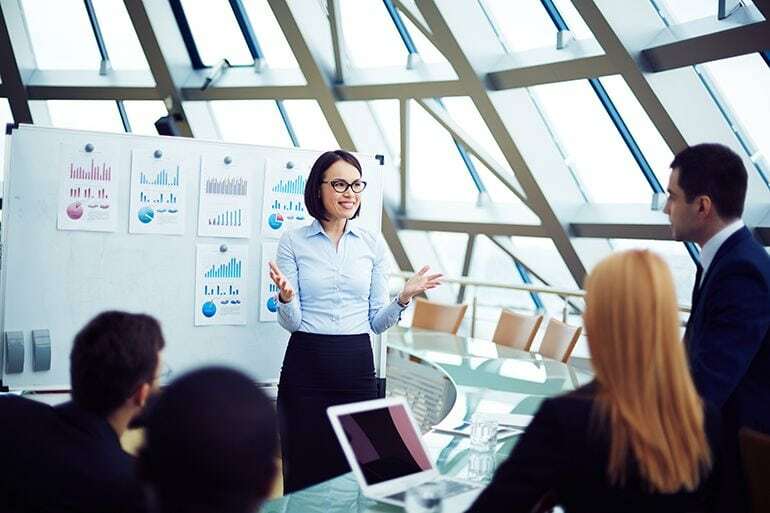 The advantage of using this approach is that instead of doing a major overhaul of the way you and your team complete assigned tasks, you first identify holes in your existing work process. Then, you can choose to modify or completely change your workflow, knowing what works best for you and your team. Perhaps the greatest part of the kanban workflow is the visual representation of the working process. 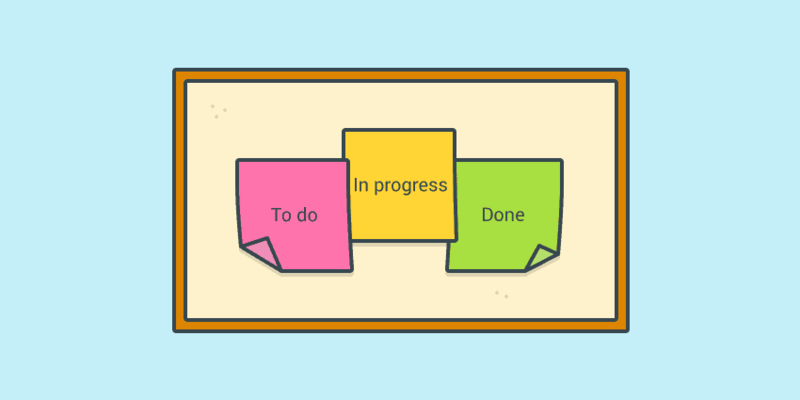 Kanban boards are a visualization of tasks that helps teams see what’s in progress, and move a project forward. The kanban board lets you see exactly what it’s going to take to complete a project. Remember those projects and tasks? The visual kanban board is how you manage them. Create a kanban board, either physically or virtually, to visualize tasks. At this point, let’s assume you’ve set your goals, come up with the necessary projects and associated tasks for each one. You’ll then create a column for each of the following: done, in progress, not done. Post-its on a whiteboard are popular tools for in-person kanban workflows. First, you grab a post-it, move it to “in progress” and then start working. Once you’re done, you again move the post-it to “complete.” The entire team participates until the agreed upon tasks are all in the “complete” column. The duration of time is up to you: one day’s worth of tasks, one week, and so on. The board can also contain other parts of the project management process (i.e. planning, testing, notes, deadlines, etc). Furthermore, the boards are very useful for team members, as they can view the tasks their colleagues are working on in real time. It’s hard to forget a task when they’re all virtually in front of you. The functionality of the virtual boards is especially useful because team members can drag and drop tasks between boards and lists, or choose “complete.” Both give an equal sense of accomplishment. Who is kanban project management best for? To assume that the kanban methodology is strictly applicable to a particular field would be like saying only strategists can use whiteboards. That’s ridiculous! Anyone can benefit from using visuals to better communicate and streamlining processes. Kanban is used by professionals and teams in a variety of settings, including supermarkets, car assembly lines, and software development agencies. For example, we wrote about using Trello as a kanban system to organize the work of our marketing department. Now, our fully remote team, located around the world, uses kanban for every project we work on. Development, marketing, support. We’re all on board with kanban boards. Programmers use it to code and measure the progress of their coding. Lawyers use kanban to keep track of the progress of their cases. Sales people coordinate their sales processes using kanban. Students do their homework assignments in this style. Some people even organize their private lives and chores using kanban. Who is kanban not suited for? No project management system is without its pros and cons. Kanban is no different. Here are a few situations where this approach might not be ideal. If you’re looking for a simple, visual solution for your growing team, Hubstaff Tasks is a kanban project management tool for you. Simply set up your own custom workflow, or start with one of our templates. Collaborate as a team using comments, streamline your processes by keeping all relevant information with each task, and achieve greater productivity. Hubstaff Tasks also integrates seamlessly with Hubstaff for easy time tracking. In addition to managing your process, you can also manage your team’s time and project budgets. Everything works together so your business can run like a well-oiled machine. Try both free for 14 days and see how Hubstaff can keep projects on time and on budget. Do you use kanban project management tools? What are your tips for using this method? We’d love to hear your thoughts in the comments below. This post was originally published January 26, 2016, and was updated June 7, 2018.